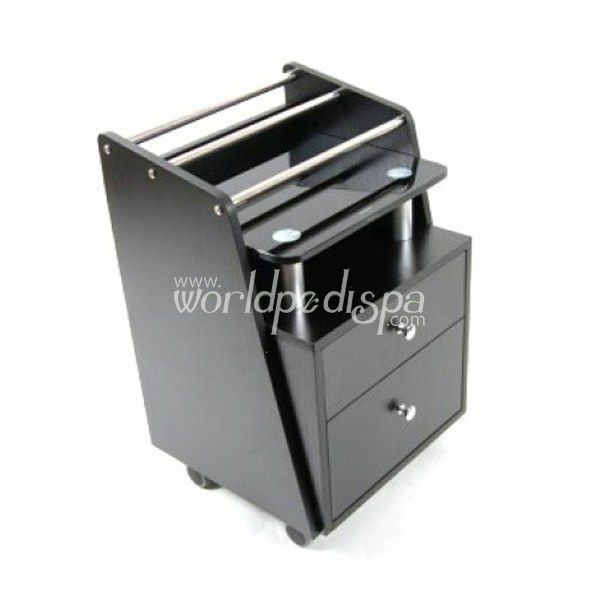 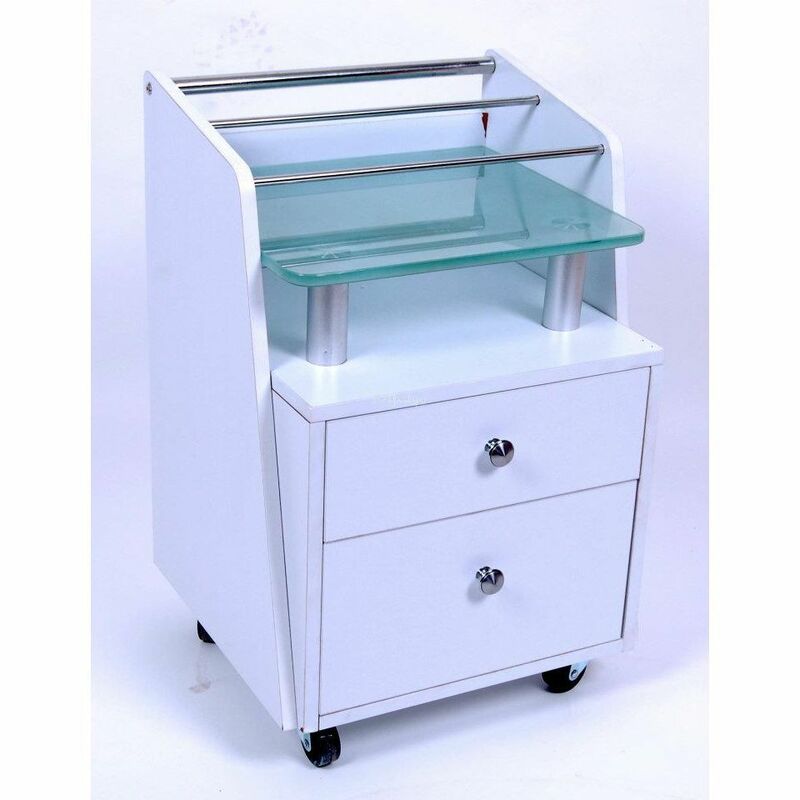 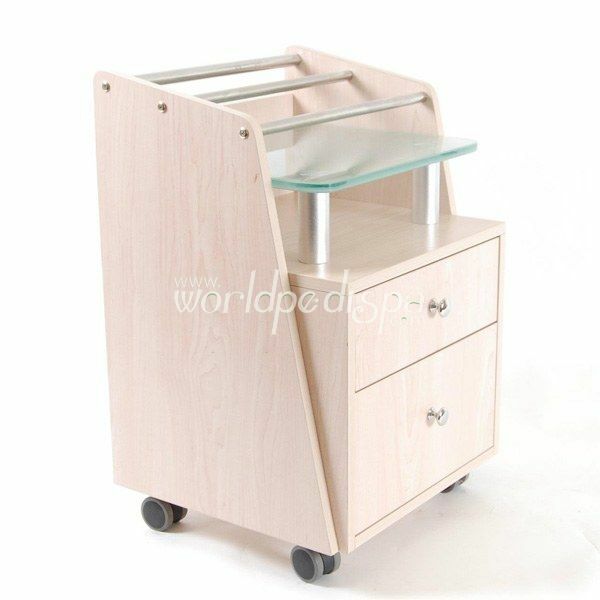 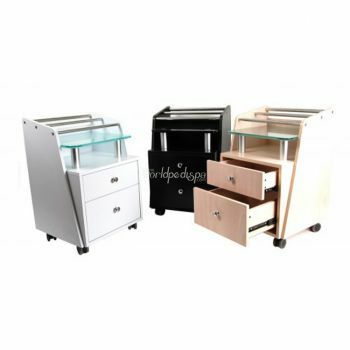 Beautifully designed glass top pedicart/trolly will seamlessly coordinate your salon furniture. Matching glass top nail tables also available. Bottle holding slots up to 3" to 4.25" in diameter. 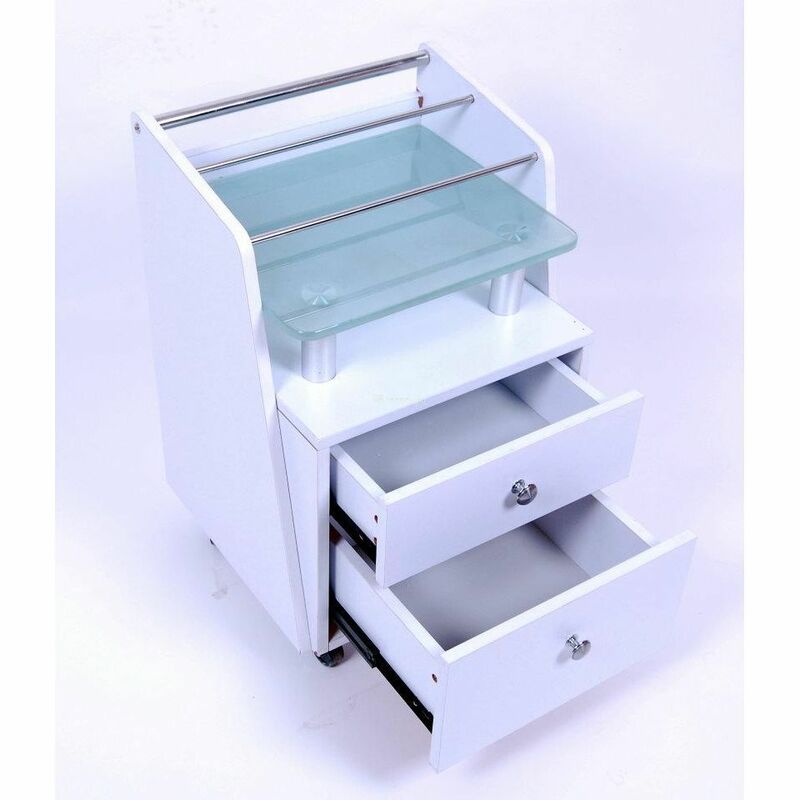 Easy to clean tempered glass top shelf. Additional storage under the glass for small items. Spacious 2 drawers with easy glide tracks. Heavy duty swivel casters with lock. 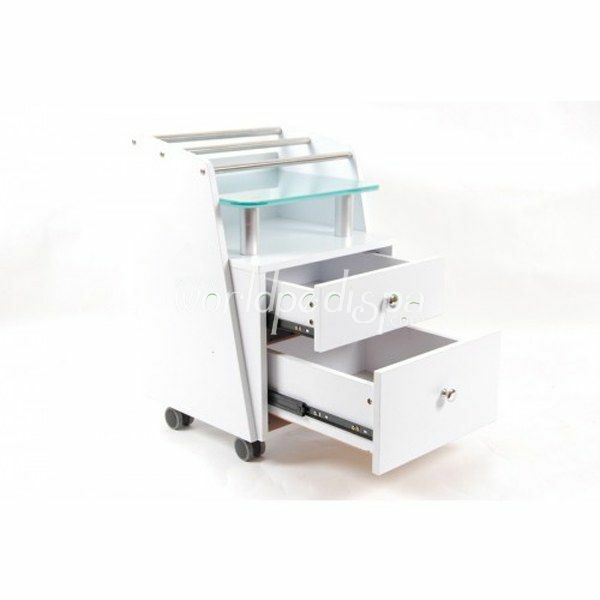 Glass top with steel rod divider. 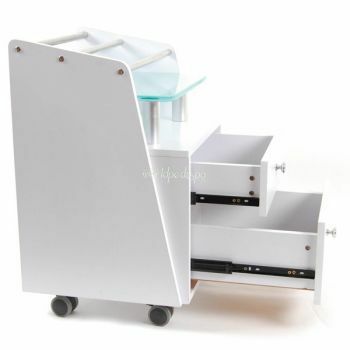 (2) pullout drawers for storage. 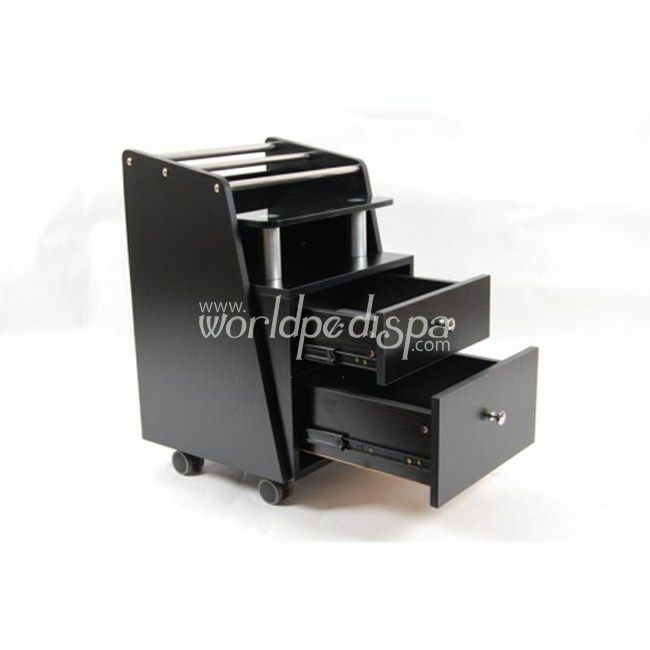 Pleas call for shipping quote!! !